I know, the punchline is lame, but none I could think of were any better. I just had to take a jab at that scene from the first episode. I don't know about you, but I certainly never even heard of the term before NGE, so it always seemed odd to me that Shinji could instantly name what he was looking at. Guess they (or at least their concept) must be a big thing in Japan (of 2015 at least) for Shinji to go "Whoa! Real Geofront!" 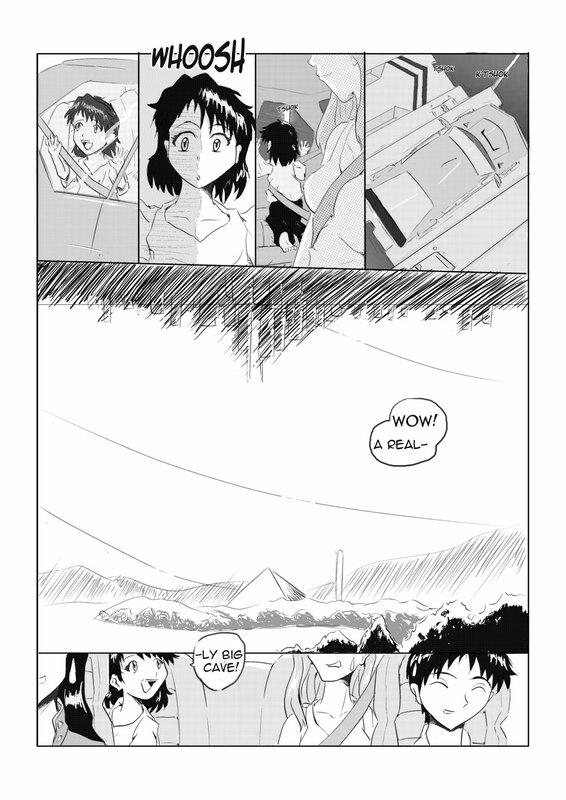 And yes, it probably doesn't make too much sense for the buildings to be retracted at the moment (unless Misato's driving is considered a threat to the city), but w/e, they suit the image.